Just north of Sydney, the tranquil Hawkesbury River takes a picturesque path past honeycomb coloured cliffs, historic towns, islands, inlets, bushlands and national parks including Ku-ring-gai Chase. Take the time to unwind with cruises on the waterway and tours of the surrounding region, with highlights including Tobruk Sheep Station and the Seven Islands Cruise from Brooklyn. Travel to Far North Queensland for a Cape York adventure in a purpose built 4WD tour vehicle. See waterfalls, coral coves and enjoy campfire dinners. 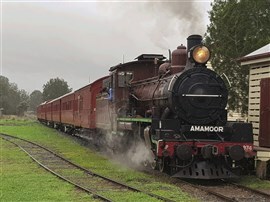 Dip your toe in the sea at the tip of Australia, enjoy the remote wilderness, visit old World War II airfields, early gold settlements, huge beef stations and the mine at Weipa. Celebrate Christmas in July and discover the hauntingly beautiful and dramatic South Australian outback, its unique flora and fauna and the rich legacy of old riverside ports aboard the paddle wheeler the Murray Princess. In the early 1930s, only stock and camel trains would take the Birdsville Track, made famous by outback legend Tom Kruse. Explore these remote areas which still evoke a great sense of adventure. 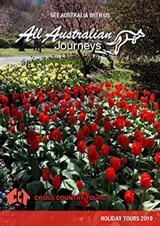 A truly iconic road trip from Brisbane to Melbourne, travelling through Newcastle and taking in some of Australia’s best East Coast locations such as Byron Bay, Kingscliff, Wooli, Port Macquarie, Narooma, Lakes Entrance and Wilsons Promontory. Ikara-Flinders Ranges National Park features the famous landmark Wilpena Pound, renowned for its natural, cultural and geological significance. 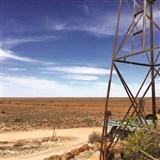 Travel the Strzelecki Track to Innamincka, visiting the Dig Tree and then on to Cameron Corner, where three states meet. 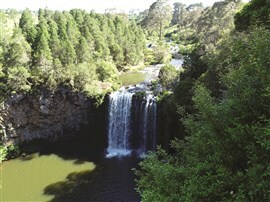 Imagine the opportunity to travel remote areas and visit some of Australia’s iconic destinations. If you have the country areas at heart and you are full of adventure, then this tour is certainly for you. 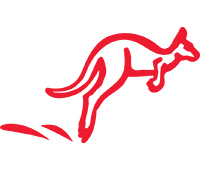 Fly from Brisbane to Alice Springs before absorbing the beauty of central Australia. The desert landscape of White Cliffs disguises the value that lies hidden underground, one of the richest opal fields on earth. The locals also live underground and your two night stay in the Underground Dugout Motel will be a memorable experience. 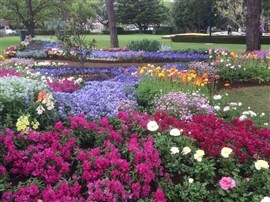 Since 1950, Toowoomba has greeted Spring with an infusion of colour and creativity not only in private gardens but also the town’s magnificent parks and gardens. 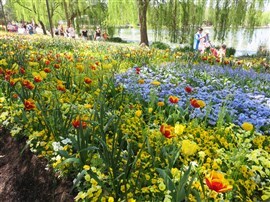 Come and delight your senses in the Garden City as there is no better "blooming place"! 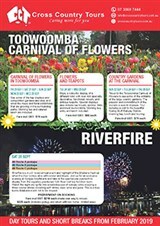 Celebrate the 30th anniversary of the Matsuri Cherry Blossom Festival in the Japanese Gardens in Cowra. With traditional Japanese displays, as well as markets and entertainment, admire this delicate flower as it blooms throughout the gardens. Brisbane is the capital of the sunshine state and gateway to the creative Sunshine Coast Hinterland, the stunning beaches and nature of Stradbroke Island and the magnificent rainforest and drop of Queen Mary Falls. Staying right on South Bank, we are in the perfect position for Brisbane Festival’s Riverfire fireworks display, and close to numerous galleries, museums, restaurants and gardens along the Brisbane River. The Newell Highway is New South Wales' longest continuous highway, stretching over 1,060km from the Victorian border at the Murray River town of Tocumwal to the Queensland border at Goondiwindi. Lord Howe Island is a unique destination inscribed on the World Heritage List for its outstanding natural features. As the tour unfolds you will discover the spectacular landscape with Mount Gower and Mount Lidgbird towering above the sea. This tour takes you to the scenic Macleay Valley coastline, staying three nights in the sleepy coastal township of South West Rocks, without a highrise in site. Along with giving you a truly restful break, you will also visit Trial Bay Gaol, take in the scenery from Smoky Cape Lighthouse and cruise the calm waters of the Hastings River aboard MV Port Venture. 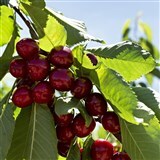 Summertime means an abundance of cherries and other delicious stone fruits. Join in the fun and festivities of the ever popular National Cherry Festival in the bustling and picturesque town of Young, ideally located in ‘The Hilltops’ food & wine region. 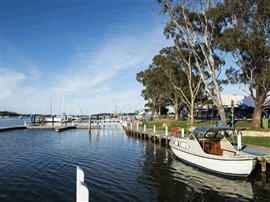 Spend Christmas cruising Australia’s most iconic river—the Mighty Murray. Enjoy a seven night cruise with offshore excursions including wildlife discovery, Aboriginal paintings and historical sites, farm tours and visits to the towns for whom the Murray is the life and soul. 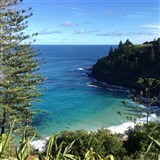 Escape to paradise at Christmas, surrounded by the pristine and sometimes rugged beauty of Norfolk Island. Savour the diverse nature experiences, historical presentations and welcoming. 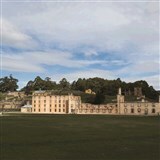 Break away for a relaxing week in a luxurious hotel overlooking Mount Panorama. From early gold discovery days, to the prominent identities of Bathurst, to inside majestic historical buildings, to the greatest collection of racing memorabilia, Bathurst will charm you this Christmas. Experience the rugged beauty of the Snowy Region, taking in its history and the engineering marvel of the Snowy Hydro Scheme. Enjoy wonderful local food and appreciate the finer things with olives and schnapps tastings. Enjoy Christmas at the eco-friendly Kingfisher Bay Resort on Fraser Island. This World Heritage Listed site is famous for its freshwater lakes, ancient rainforests, coloured sands, 75 mile beach highway and the renowned Maheno shipwreck. 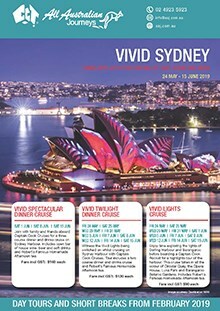 Enjoy three nights at a centrally located Darling Harbour hotel, with a special Christmas luncheon to savour. Another highlight will be the four hour cruise on Sydney Harbour to view the start of the legendary Sydney to Hobart Yacht Race. 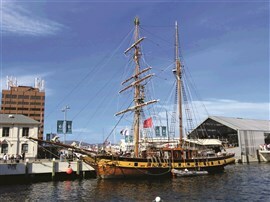 Take a trip getting to know Tasmania’s capital, spending four nights in our hotel, a stone’s throw from Hobart’s Constitution Dock. Uncover the history of Hobart, from the Cascade Female Factory to Joseph Moir’s Shot Tower and the Wooden Boat Centre in Franklin.